Grab cards from the conveyor and place them on the game board next to a card that ranks one higher or lower. Fill in the board and watch your peaceful garden bloom to life. 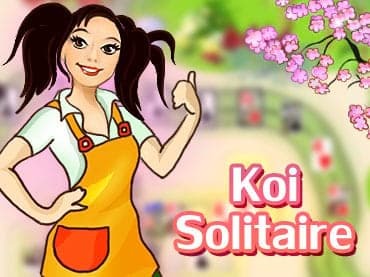 With fun game modes, unique power-ups, and an original storyline, Koi Solitaire is a soothing break that's full of family fun. If you have questions about Koi Solitaire game, please contact us using this form.